The recent images and video of white supremacists marching through the streets of Charlottesville, Va., chanting racist and anti-Semitic slogans sent shock waves across our country and through our local Jewish community. We are enraged by this ugly display of hate, and we are heartbroken by the senseless tragedy that took the life of Heather Heyer who fell victim to terrorism. We also mourn Lt. H. Jay Cullen and Trooper Berke M. M. Bates, the two pilots who died when their helicopter crashed while patrolling the skies around the protest to protect the citizens of Charlottesville. Condemnation of the Charlottesville events and responses to the controversial and disappointing comments by President Trump were expressed by Jewish organizations throughout last week. In all comments, including those released locally by JCRC/AJC and Federation, it was made clear that there is absolutely no moral equivalency between those who promote hatred and bigotry and those who stand up against it. We must continue to be crystal clear on this issue and to hold our political leaders accountable for their statements. 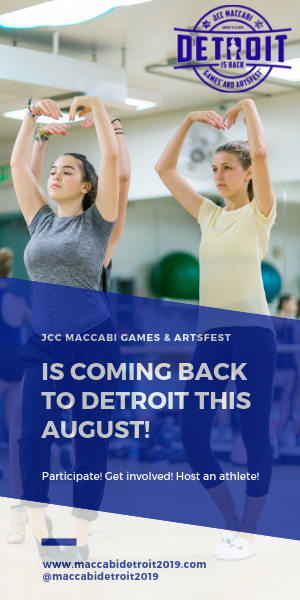 In the hours following the tragedy in Charlottesville, members of the Metro Detroit Jewish community sought out avenues to stand together with our neighbors in mourning and outrage. JCRC/AJC responded immediately, leveraging our local relationships and reaching out to our community partners. We learned of two events. One took place at the First United Methodist Church in Ferndale on Sunday evening, the day following the incidents in Charlottesville. I represented the Jewish community at this interfaith rally and witnessed an overflow crowd that filled the pews and poured onto the sidewalk along Woodward Avenue. The assembly was orderly and respectful, but the undercurrent of anger and fear was palpable. At one point in the service, the clergy passed a microphone through the audience allowing people to express their grief and outrage. Those who spoke up were young and old, Christian and non-Christian, community leaders like the Mayor of Ferndale and average citizens. But their message was clear and united — we must stand together against hate. Another rally was convened the same evening on the Diag at the University of Michigan. Hours before the event, JCRC/AJC connected with the rally organizers and arranged for a Jewish community representative to speak — Rabbi Josh Whinston of Temple Beth Emeth in Ann Arbor. Local media covered both the Ferndale and Ann Arbor rallies. The local responses that followed the events in Charlottesville reflect the strength and resolve of a community that is deeply troubled by the rise of hatred and bigotry in our country. The outrage that we have heard from Jewish community members also reminds us of the importance of community relations work in quieter times. Efforts to build stronger ties with our diverse neighbors must be ongoing. 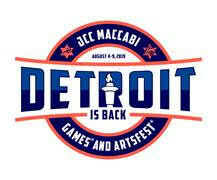 JCRC/AJC is the community relations agency of the Detroit Jewish community. We invite you to join us in our work. Visit our Facebook page at facebook.com/JCRCAJC for the latest updates regarding our outreach activities and for real-time updates in the aftermath of a crisis, like the recent one in Charlottesville. David Kurzmann is executive director of the JCRC/AJC.